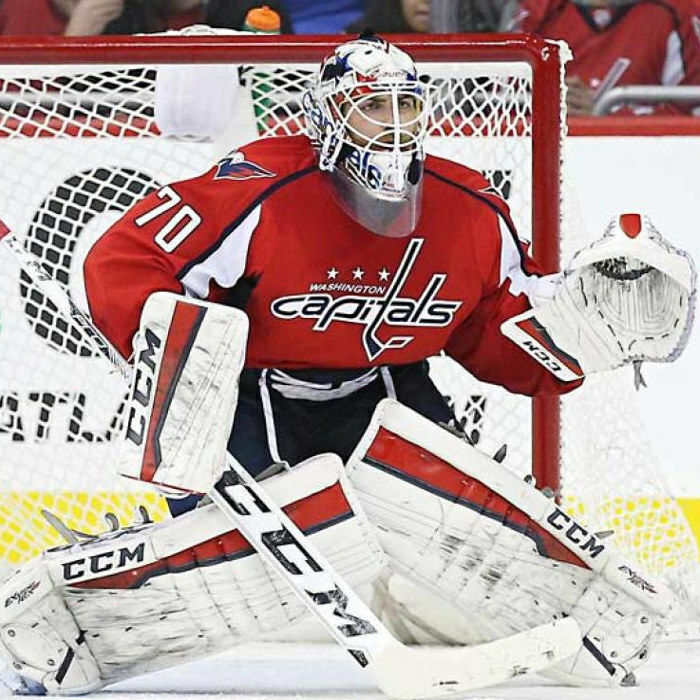 Braden Holtby (born September 16, 1989) is a Canadian professional ice hockey goaltender currently playing for the Washington Capitals of the National Hockey League (NHL). He received the 2016 Vezina Trophy after posting a 48–9–7 record and .922 save percentage during the 2015–16 NHL season. Holtby won the Stanley Cup with the Washington Capitals in 2018.